One project, two super soldiers. All that just happens because Eve Farrell meets Bucky Barnes and his pal Steve Rogers in an alley in 1936. And not only her life gets changed, also their lives won't be the same anymore, influenced by war, experiments, death and a new century. This is the story of how three ordinary kids from Brooklyn turned to Captain America, Voltricity and the Winter Soldier, from the beginning till the end of the line. Who would have ever thought that the trio is gonna end up like this? 63. You didn't see that coming? Bonus Chapter: You kissed her?! This is where you read about who I am. I would tell you if I knew. I don't have a name, people just call me CopyCat. I am a soldier... A weapon... A killer... And I have a mission. If you haven't read, Before We Fall, yet, go read it first. You're part of a machine, you are not a human being. The tale of the Winter Soldier and his recovery. His name has spread nothing but fear through the whole galaxy. The only goal Thanos ever had in his mind was the balance of the universe- and he doesn't care how to achieve it. To stop the bloody and deadly path of the Mad Titan, Evelyn Farrell Barnes and Aurora Reyes are forced to risk their lives along with their teammates for the sake of everyone else. With the weight of not only the world but this time the whole universe on their shoulders, they fight in the biggest war of all time. Steve and Abigail Rogers have known Bucky Barnes since they we children. But when he gets drafted to go to war things start to change. When Steve enrols in a new program Abi must attempt to keep both her boys safe. Erin McCall was suppose to be one of S.H.I.E.L.D. 's top recruits. Nick Fury had been desperate to get her into the program since she was 14. With perfect grades and an off the charts SAT score, her future seemed set. It didn't hurt that her father was head of the Bio Mechanics division of S.H.I.E.L.D. along side her brother. But ever since the collapse of S.H.I.E.L.D. caused their deaths, Erin's once solid future seemed to collapse with it. Haunted by the things of her past, she's been a wanderer, traveling all over Europe. Now living in Romania the 8th place she has settled in since leaving everything behind, she happens across the famous Captain America and his team. After saving their lives, Steve tells her of the inevitable war approaching, Erin feels she has no choice but to help in any way she can. Before the Infinity War begins, Steve wants to wake up his best friend, James Buchanan Barnes, from his cryo sleep. Erin could be the key to fixing his destroyed arm... and making him smile again. But when Erin is forced to face the things that haunt her, can she learn to trust Captain America and his team.. and her feelings for the Winter Soldier? Lauren Cross is not fond at all of Agent Coulson's recruitment since she doesn't only change high schools, but also has to move to a new country. Yet, against her will, her parents force their 17 years-old daughter to attend to the American boarding school where she meets a bunch of other students that are different, just like her. As if it isn't already difficult enough to adapt to her new life, a certain Tony Stark seems to like to complicate everything for her. those four words accurately describe both Scout Brighton and Bucky Barnes. Scout started in a science lab, an angel in disguise, a miracle child, according to the white coats. 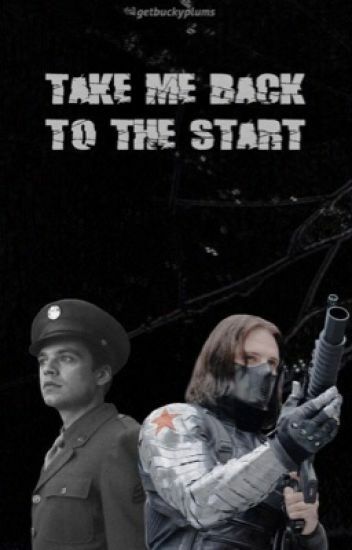 Bucky started as a soldier, then the fall happened and everything changed. They meet in the future, and as most experiments go, you could call them a success.